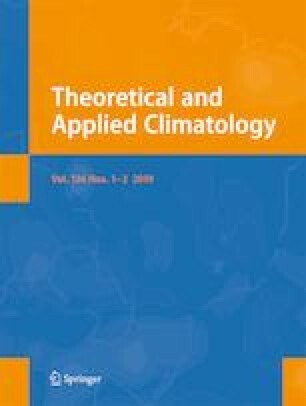 In this study, a model for estimating actual transpiration (T) is developed and tested for three tree species (Olea europaea, Citrus sinensis, Pinus pinea), growing in rainfed conditions in urban environment under Mediterranean semi-arid climate. The model, previously tested on many field crops, is based on the “big leaf” Penman-Monteith (PM) formulation of T in which canopy resistance (rc) is modeled with respect to local climatological conditions in different plant water status. Here rc is expressed as a function of available energy, vapor pressure deficit and aerodynamic resistance, and the trees’ water status was evaluated by means of crop water stress index. On an hourly scale, the comparison with T measured by sap flow thermal dissipation technique shows good performances of the model for all investigated species under contrasting water stress conditions. At daily scale, T modeled is less accurate for all species, because of the lack of stationarity conditions in the PM approach. At seasonal scale, however, the model gives good estimation of T, with an underestimation of − 1% for Olea and Pinus and overestimation of + 8% for Citrus with respect to the measured T values. The proposed model needs species-specific experimental calibration, but it may have good perspective of applicability in supporting water irrigation planning in urban forestry.